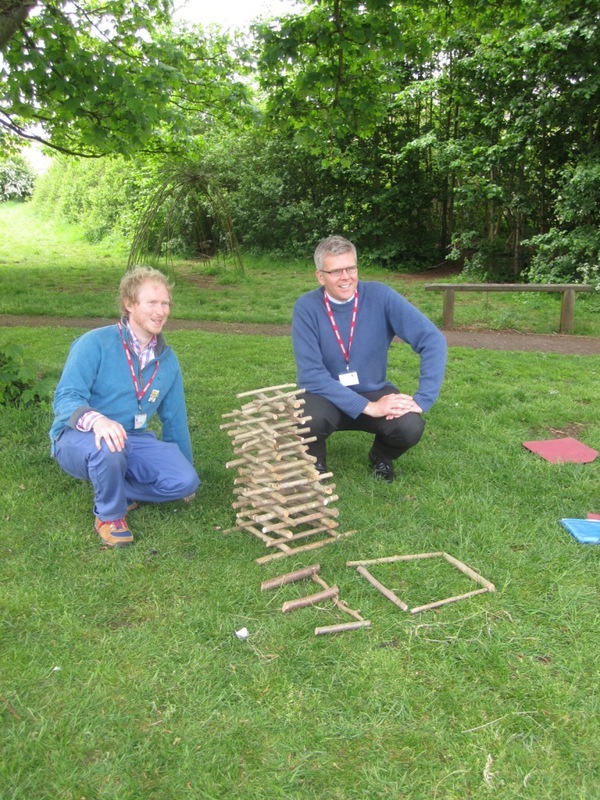 Get your group to work in pairs to collect a pile of sticks - 10 - 20 sticks per group is ideal. Get them to create a tower using a given shape. Explore using different shapes and discuss which were more challenging in terms of stability. If you are in your school grounds then gather together or bring in a good pile of sticks - you may need 300 for a whole class to make this work well. If in a space with a lot of fallen sticks send the group off in pairs to collect 20 sticks - give them some guidance about how far they can go and show them some examples of the size of stick to collect - longer sticks are fine as they can break these up - but sticks that are too thick or heavy will not work so well. If you have the time work through 3, 4 and 5 sided towers - although you will need more sticks for higher sided towers - you can bring groups together in to larger group sizes to create these. Tour the different towers that have been made and discuss how this went and what was challenging. With a few more sticks you can get your groups to test the strength of their towers by putting sticks across the top and sitting down on it. Also when building towers when they fall down turn your pile in to a giant game of pick up sticks. As part of a CPD network skills share session in Chippenham things got competitive with a tower of 30 layers being built.